I am French but live in the USA. I received my PhD in French literature from Indiana University (2003). I am currently Associate Professor of French at the University of North Texas. I am a medievalist and am interested in the literature of medieval France in toto: northern France (Old French) and southern France (Old Occitan). I have interest in lyric poetry (specifically the troubadours), theater, epic and teh religious knowledge of the laity. My interest in the history of Catholicism goes beyond the Middle Ages and I am intrigued by the changes this faith underwent in the 19th c. and its impact of the art of the period. 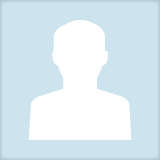 Christophe Chaguinian updated their profile information.